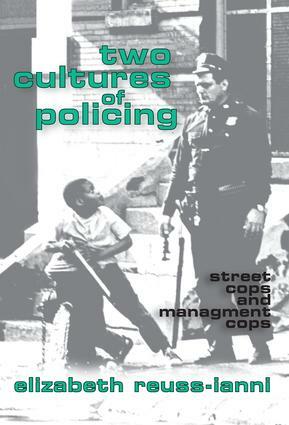 The emergence and functioning of two competing and sometimes conflicting cultures within police departments demonstrates how competition between street cops and "bosses" is at the heart of the organizational dilemma of modern urban policing. Unlike other works in this field that focus on the monolithic culture or familial quality of policing, this study demonstrates that which might look cohesive from the point of view of outsiders has its own internal dynamics and conflicts. The book shows that police departments are not immune to the conflict inherent in any large-scale bureaucracy, when externally imposed management schemes for increasing efficiency and effectiveness are imposed on an existing social organization. Based upon two years of extensive field work, in which the author covered every major aspect of policing at the precinct level in the New York City police department from manning the complaint desk to riding in squad cars. Ianni shows how the organized structure of the police department is disintegrating. The new "Management Cop Culture" is bureaucratically juxtaposed to the precinct level "Street Cop Culture," and bosses' loyalties to the social and political networks of management cops rather than to the men on the street causes a sharp division with grave consequences for the departments. The study concentrates on a series of dramatic events, such as the suicide of a police officer charged with corruption, a major riot, and the trial of an officer accused of killing a prisoner while in police custody. Ianni traces how these events affected relationships among fellow officers and between officers and "bosses."